Marketing has come a long way from what has come to be known as “traditional marketing methods.” Such marketing methods include flyers, newspaper ads, magazine articles and ads, radio announcements, TV commercials, and phone calls. The newer, more “modern” marketing methods include email, blogging, vlogging, and social media. These newer concepts may seem foreign to marketers who learned the traditional style of marketing. In fact, making the change may seem overwhelming & confusing. However, with the help of our Communication Plan, the switch doesn’t have to be difficult. The communication plan is just that: a plan on how and where you should communicate with your audience. It provides you with a roadmap that you can use to make your business thrive and stay top-of-mind with your audience. Every company is different and therefore, every communication plan differs. As marketers, we know that every industry has something which makes it unique (different demographics, for example) – and the differences mean some social media platforms work better for specific industries than for others. 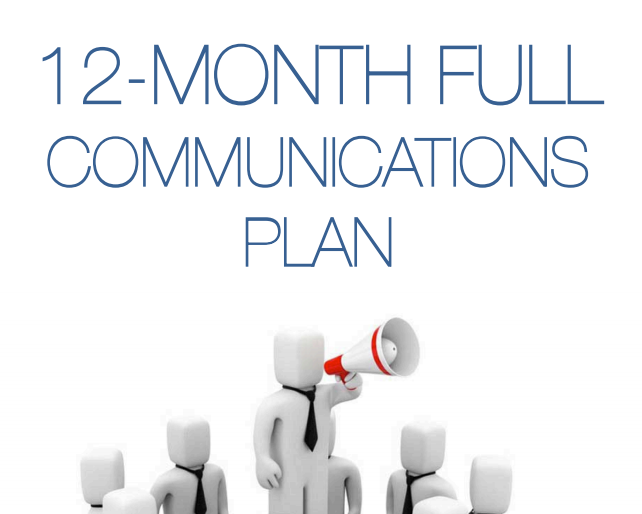 What does the communication plan include? A brand voice profile – Each brand has a different voice and way of communicating with its audience. Some are more serious, whereas others take a more lighthearted approach. The brand voice profile includes keywords, language to be used, information about your target market, and more. 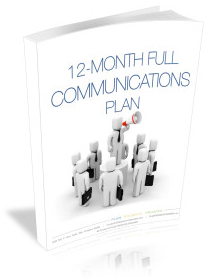 A communication plan overview – A brief overview of what the rest of the plan includes… the simple version. For example, later in the plan we will explain the things you should be posting. This part of the plan includes how often, what times, best days, etc. A blog (and, if appropriate, a vlog) plan – Blogging is a great way for companies to share their knowledge and expertise with their audiences. 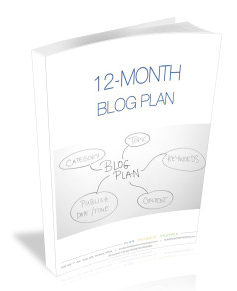 The blog plan takes into account what your company wants to be known for and establishes a plan which determines the exact dates, times, titles, and topics to publish. The blog plan has SEO in mind as it also includes keywords and tags to include in your blog – all of which help you get found online. If your business is well-suited for creating regular and consistent videos, we may recommend creating a vlog platform using a social platform such as YouTube or Vimeo for your brand. Not all businesses, however, are the right fit for a vlogging plan. An e-newsletter plan – Email is an easy and effective way to keep your audience in the loop of what’s going on with your business. It gives you the opportunity to share resources, updates, articles, announcements, and more. 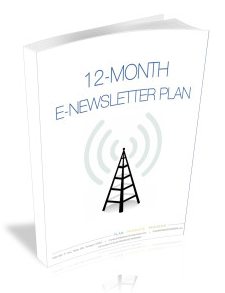 Our e-newsletter plan lays out the best days & times to send out your e-newsletter blast. A social media activation plan –Each social media platform has to be treated uniquely when it comes to when and what to post. 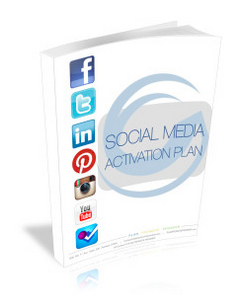 Our social media activation plan includes tips on best using the various platforms as well as the target post days and times. We explain and break down the basics of social media for those of us who are less familiar with the verbiage. Further, we include what content to publish – as well as what days and times, and how often to publish it. What are the benefits of the communication plan? In this day and age, businesses must use the right content marketing tools in order to progress. Consider the communication plan as a step-by-step guide to implementing content marketing into your current marketing strategy. Take the guesswork out of what you should be publishing and when; we do all of the research for you. What if I don’t have the time to do everything mentioned in the plan? Great news! We can implement & manage the plan for you. After all, content marketing is our forte. We understand that content marketing is a foreign concept to many small business owners. The thought of implementing and managing such an in-depth plan can be overwhelming. Allow us to implement and manage the plan for you while you focus on other aspects of your business that need your knowledge and expertise. Do you have a question about your current communication efforts or are you wondering if a communication plan is right for your business? Contact us today so we can help answer your questions.